The mission of American Liver Foundation (ALF) is to facilitate, advocate and promote education, support and research for the prevention, treatment and cure of liver disease. The American Liver Foundation - Desert Southwest Division runs programs and events throughout Arizona, New Mexico, and Utah. The division's goal is to reach the community to provide education and support through school presentations, free educational conferences, free Hepatitis testing at events and health fairs, and support groups. 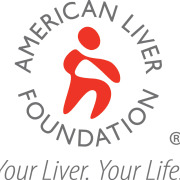 Would you recommend American Liver Foundation-Desert Southwest Division? Great organization with a great cause.